Where can you find freshly brewed kombucha, homemade kimchi, and Porchetta under one roof? Or in this case under the Lower Manhattan FDR Drive highway? It will be the New Amsterdam Market, now in it’s 3rd annual and introducing weekly Sunday markets beginning this fall. It’s a food lover paradise with all the local farm fresh produce selling handpicked heirloom tomatoes to made -to- order Maine lobster rolls. New Amsterdam Market showcases a wide selection of local farmers, artisans, purveyors, and independent small moms + pops food business. Each vendors are specialized in a particular food and are a connoisseur and more importantly passionate in what they do. Being New Amsterdam Market is now a weekly Sunday market I will be making my weekly visits a weekly eat. Nearly making my way through a quarter of the market, I was stuffed with free samples from vendors. For this weekly free sample pick of Sept 12, 2010 goes to The Bent Spoon. Located in Princeton, NJ, The Bent Spoon, an artisan ice cream using only fresh ingredients to create their bold and unusual flavors. 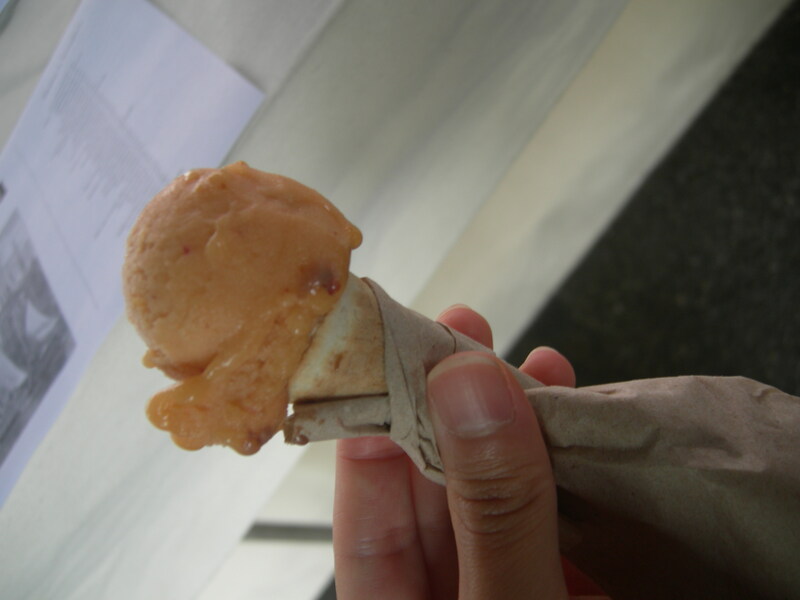 I was given a sample of the nectarine and was presented in a cute 2 inch sugar wafer cone. The nectarine flavored ice cream borderline sorbet taste had a light but bold nectar flavor. It tasted of fresh picked peaches and was absolutely delightful! Most vendors will be at the New Amsterdam Market every Sunday throughout the season, with a few new additions too and a few will make occasional appearance. Catch The Bent Spoon at the New Amsterdam Market again on Oct 17! There is something for everyone at the New Amsterdam Market for the sweet tooth in all of us and for those who are seeking something savory. For this weekly out of pocket pick of Sept 12, 2010 is the Great Performance & Katchkie Farm vegetable & cheese tamales. I was first introduced to tamales while visiting San Francisco in 2004 and it remains to be the best I have ever had. Though the Great Performance & Katchkie Farm vegetable & cheese tamales are comparable. Great Performance is an upscale catering company in New York City and it is perhaps the only catering company using fresh farm ingredients to table from their very own organic Katchkie Farm located in Columbia County, NY. Tamales is a staple Mexican comfort food dish, pounded corn based with any ingredients desired, it is wrapped in corn husk and steamed. To the Chinese tamales are equal to zongzi (sticky glutinous rice with fillings), prepared similarly. Though I prefer tamales over zongzi…yeah, I am disgrace to the Chinese. 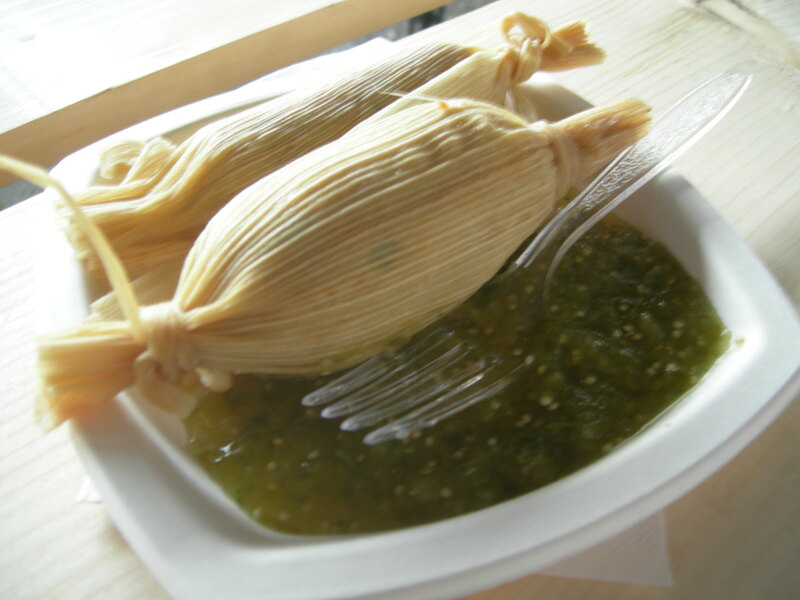 Tamales are lighter in comparison and the Great Performance & Katchkie Farm’s vegetables & cheese tamales ($4 each) with a green salsa side condiment is moist, savory and the green salsa side dipping gives a nice kick. The cheese in what I believe is mozzarella filling is a nice surprise tucked in the center like a hidden treasure. The Great Performance & Katchkie farm will be back at the New Amsterdam Market on Nov 21! One of many participating vendors that will be at the New Amsterdam Market throughout the Fall season through Dec 19th is East Village, Porchetta. Since watching Unique Eats on the Cooking Channel with recent coverage on Porchetta, I could not stop dreaming of getting my hands on one. Sure, East Village is a walking distance from where I live but the slider portion Porchetta ($5 each) at the market is a wallet friendly sampler before deciding on splurging for a $10 Porchetta sandwich at the restaurant and for $10 if it means more pork, count me in! 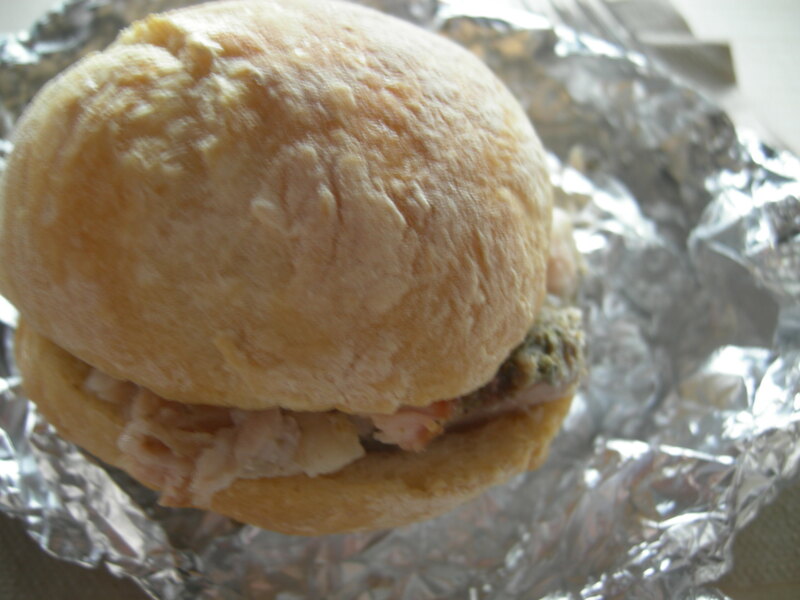 It’s incredibly seasoned with Italian herbs and slow cooked pork and crispy pork skin served on a ciabatta roll. The only flaw is it was wrapped in aluminum foil and cold when I was hoping it was made-to-order. 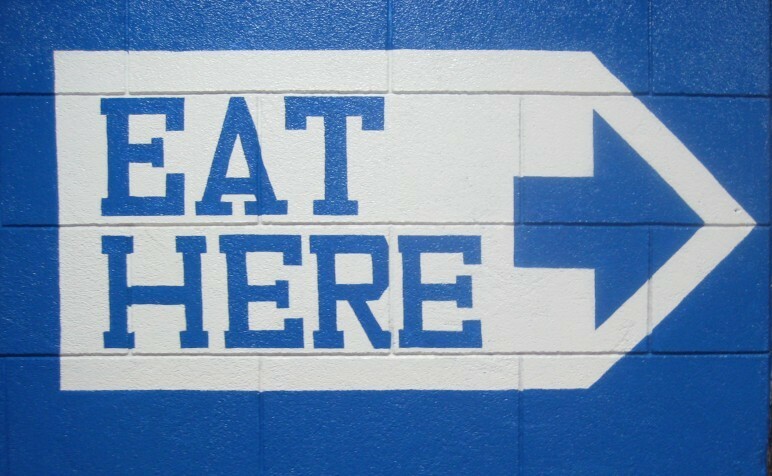 Nonetheless, the first bite is a pork fiesta in your mouth! You don’t have to wait till a month or two to try all the good eats sold at New Amsterdam Market the wait is only now in 7 days away!